Kim hosts “too-much-time-on-my-hands” Has so many amazing tutorials, but her “No Sew Pillow- Zebra Style” captivated me. I adore blacks & whites and I have used the Heat n Bond Fusible Batting Tape for a fur pillow and it worked GREAT! I love the way she has her pillows against the white tufted headboard. Kim has a step-by-step tutorial and you have to try this one. 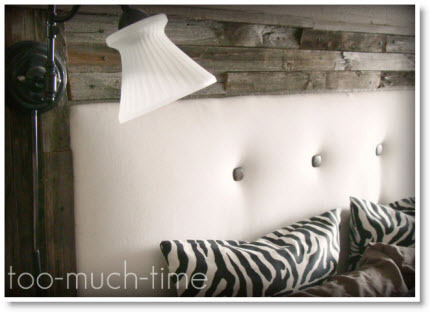 Thanks Kim I am impressed with your Zebra-Pillows and thank you for sharing your project.